Invest in Your Own Menchie’s Franchise with Confidence! The startup cost for a Menchie’s Frozen Yogurt shop ranges from $300,000 to $350,000. Qualified franchisees will have good credit and approximately $80,000-$90,000 in liquid assets and possess a net worth of approximately $350,000 in order to qualify for a Small Business Administration (SBA) commercial loan. *A detailed cost of investment is outlined in Item 7 of the Menchie’s Franchise Disclosure Document (FDD). Menchie’s is on the SBA Registry. 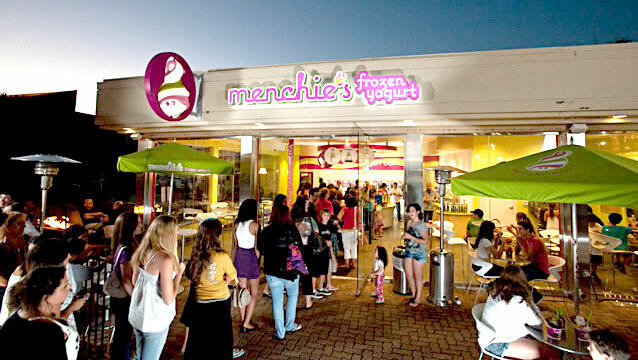 Also, Menchie’s Business Development Managers have experience helping franchise candidates explore other sources of financing, such as home equity lines of credit and self-guided IRAs, which can allow you to start a business using pre-tax dollars without penalties or paying income tax on the start-up dollars. Each franchise candidate has a unique personal financial statement and individual goals. Menchie’s Business Development Managers will study your situation and educate you on your best financing options. If you fill out our contact form, one of Menchie’s Business Development Managers will reach out to you to schedule a time to speak with you and begin the process of determining if we each fit what the other is looking for.